Of course, there is more. Much more. I always hesitate to call a film a “surprise,” but I found myself genuinely surprised by The Forgotten Kingdom’s compelling story, natural and convincing performances, and immensely well done technical aspects. 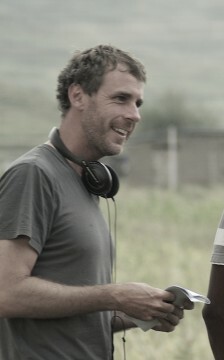 Writer/director Andrew Mudge creates a story that neither overly romanticizes Africa nor stereotypes it as is so common in the American media. Mudge doesn’t shy away from the issue of HIV and its frequent devastation of African nations. 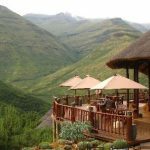 Lesotho has the third highest incidence of HIV, but Mudge doesn’t allow the nation to be simply defined by that fact alone. While his feelings for Dineo soften his heart, Atang returns to Johannesburg determined to make enough money to marry her. When he is finally able to return, he learns that Dineo’s father (Jerry Mofokeng) has moved the family to an extremely remote region after Dineo’s sister is diagnosed with HIV. Befriended by an orphan boy (Lebohang Ntsane), Atang takes a journey to reach Dineo and in the process learns the truth about his father, himself and life. The Forgotten Kingdom is such a film, a film that breathes life and honesty and heart and gentle humor and so much more. It’s a film I enjoyed and appreciated from beginning to end and a film that holds your attention and makes you feel better having watched it. While Hoosier audiences, at least in this critic’s estimation, still don’t quite give equal footing to films with subtitles, the Heartland Film Festival audiences were raving about this indie gem of a film. As noted, The Forgotten Kingdom is filmed in the Sesotho dialect with English subtitles but, quite honestly, it didn’t take long before I completely forgot about the subtitles and was absorbed in the story. D.P. Carlos Carvalho’s lensing is nothing short of extraordinary and it’s practically criminal that Carvalho’s name isn’t mentioned alongside the year’s best cinematographers. Original music by Robert Miller complements the film quite nicely and, as can’t be stressed enough, Andrew Mudge has made an exceptional feature film debut. 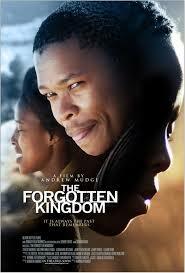 For more information on The Forgotten Kingdom, be sure to visit the film’s website linked to in the credits.